This set is great for traveling or just at home when your child needs a fun activity. 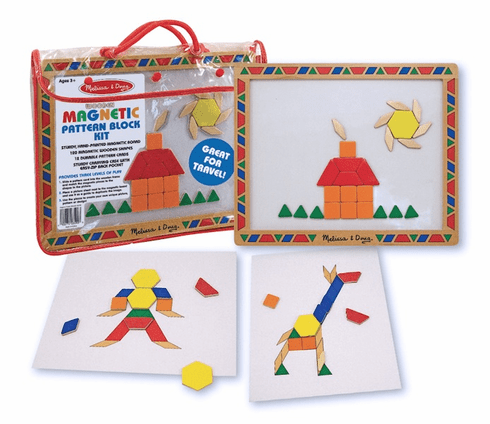 Set includes a white magnetic board and a variety of geometric shapes to make any picture your child would like. If they aren't feeling particularly creative though there are 12 includes patterns to help as a guide. Ages 3+ 14.5" x 12" x 1.5"